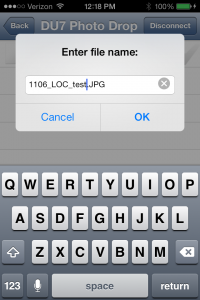 It is possible in spot news situations to eliminate the middle man so to speak (and need for a computer) and send photos from your phone to the editorial system with an ftp client. 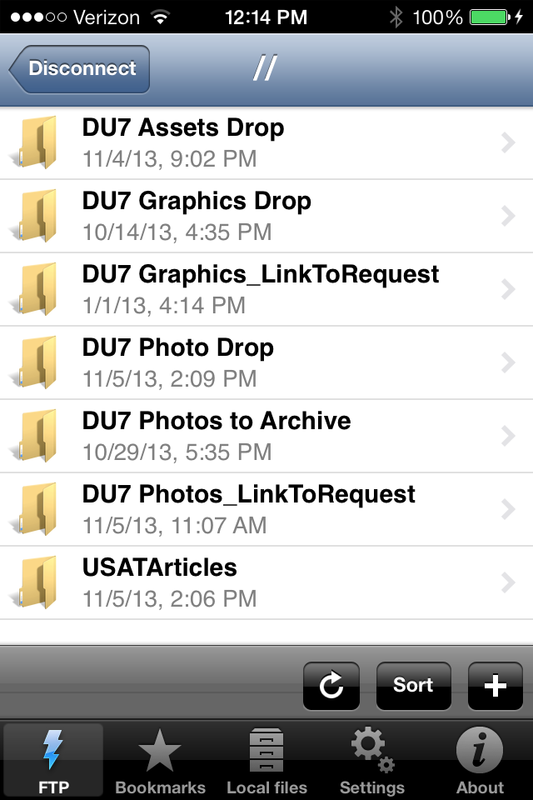 Photogs will also have ways to send high res images from their cameras to their phones but that is another tutorial. 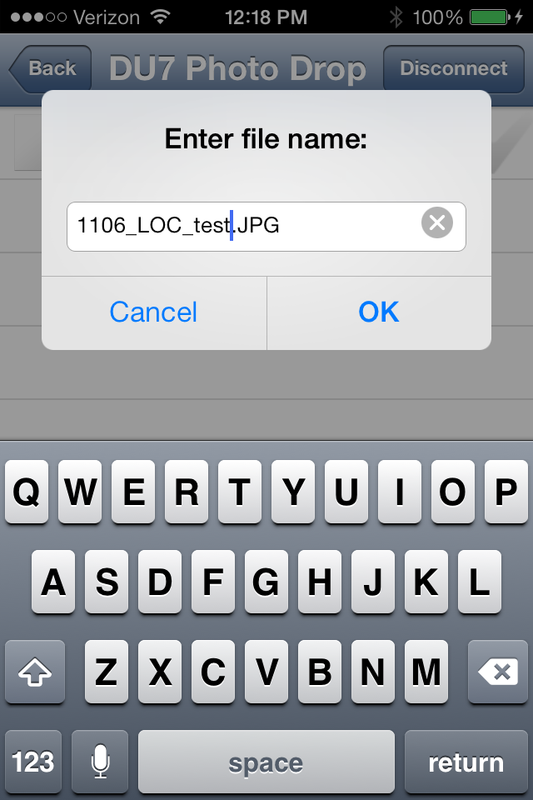 Go to the appropriate folder, Photos_linktorequest if you have the assignment id, or even assets if you have a pdf or doc on your phone for an asset. 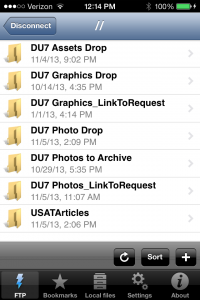 In this example we’ll use the day drop assuming it is a photograph and you don’t have a photo request number. Tap the + icon in the lower right and navigate to your photo. Tap Upload. 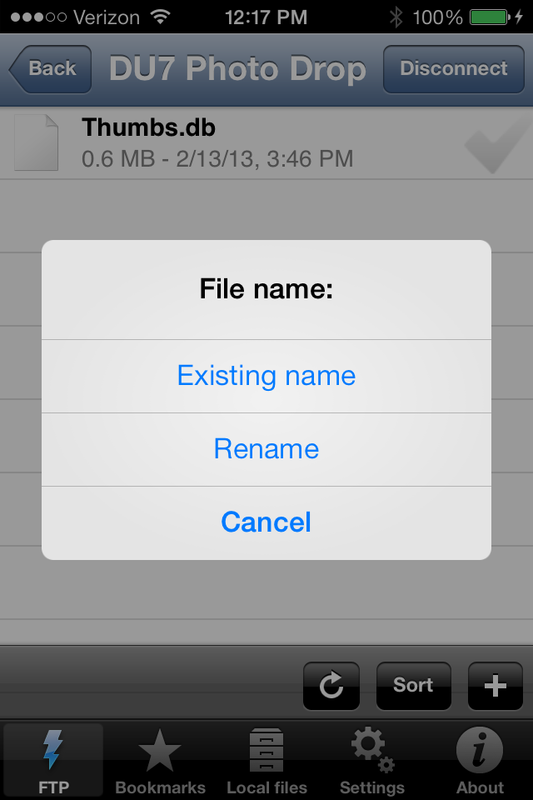 When prompted for a File Name, tap Rename and use the appropriate naming convention. Tap ok.